Battersea is booming. Residents have only to look a the crop of cranes raised above the skyline to know that times are catching up with what was once a sleepy, leafy corner of the capital. Happily, some things remain the same. 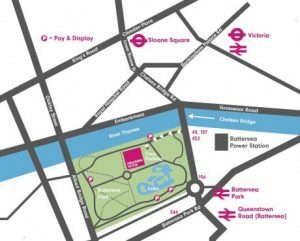 The Battersea Affordable Art Fair, in its 17th year of residence in Battersea Park, was decades ahead of the current trend for all things south bank. This year, it’s bigger and busier than ever with 110 galleries bringing the work of over 1,000 artists, all priced between £100 and £5,000. Michael Alford is pleased to be represented a the Battersea Affordable Art Fair by Jack Fine Art. Find his work at Stand A9. View fair guide. Battersea for Battersea. 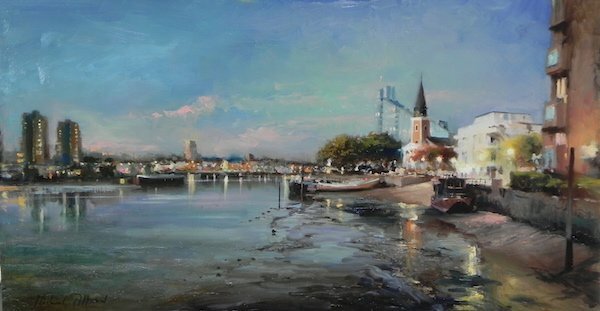 A painting of Battersea Old Church by Michael Alford. Available from Jack Fine Art at the Affordable Art Fair. The Battersea Affordable Art Fair runs from Thursday 20th through Sunday 23rd October.